Prominent on Deal seafront is a tall building with a large black ball on the roof. This is the Timeball Tower. 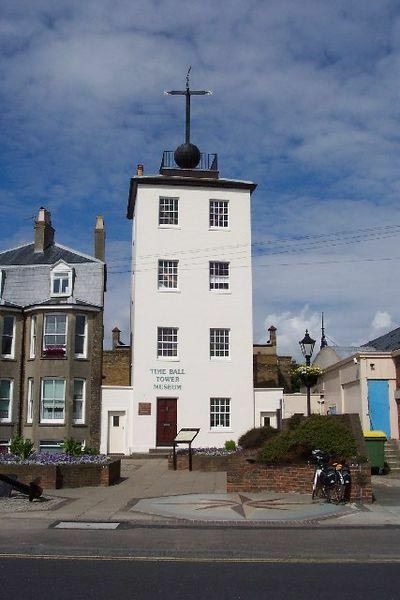 The current building was constructed in 1821 with a semaphore signal on the top that was used by the Coast Blockade for the Suppression of Smuggling to pass information along the coast. In 1855 it was converted to a timeball to signal to shipping in The Downs anchorage offshore which, in the time of sail, was much used by vessles waiting for a favourable wind to continue down The Channel or round into the Thames. Just before 1pm the ball would be raised to the top of the mast and at 1pm precisely the ball would drop so that ships could set the chronometers they used for determining their longitude position acurately for navigation. 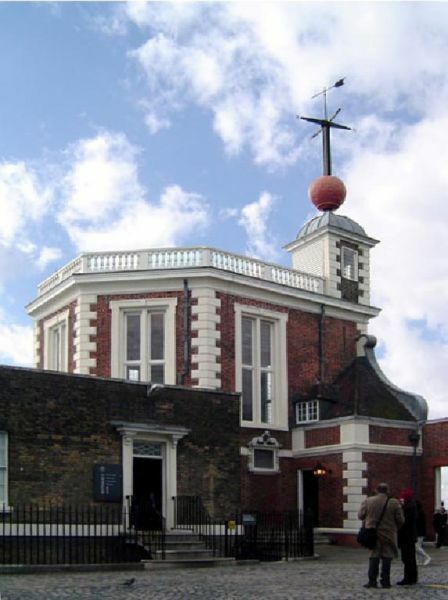 The drop was triggered by an electric signal along the telegraph wires of the South Eastern Railway from the Royal Observarory at Greenwich on the roof of which there is a similar timeball that was used to signal to shipping in the Thames below. This walk connect these two timeballs. A detailed route description is available in the publications section below.